The Gorgeous one of a kind custom built home 4026 sqft lot located on prime desirable and famous Dunbar area! And features hardwood floor on main and below levels, radiant heating, air conditioning, HRV and audio. This 5 beds & 4.5 baths spacious & bright open layout offers open floor plan with main floor has a sun drenched great room, sensational custom kitchen with top grade appliances and luxury living spaces. Upstairs offers 3 spacious ensuites, Below features a media room with bar and fabulous home theatre to fulfill all your entertainment needs. 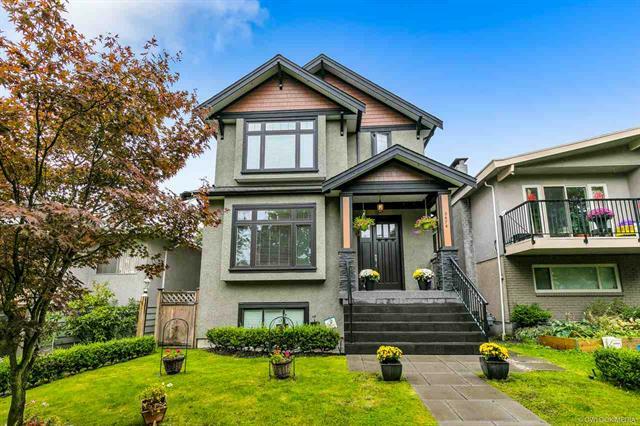 Minutes walk to conveniently Dunbar shopping, retail, community center & UBC. Lord Byng Secondary, QE Elementary, St George's, immaculate school close by. This is a must see house and a wonderful place to call home. Don't miss out!